With ever-increasing fuel costs, heating with wood has again become very popular. But this increased use of wood-heating equipment brings with it the need for constant, careful attention to assure the safe and efficient use of this heat source. One area often ignored is the special care needed for the chimney. 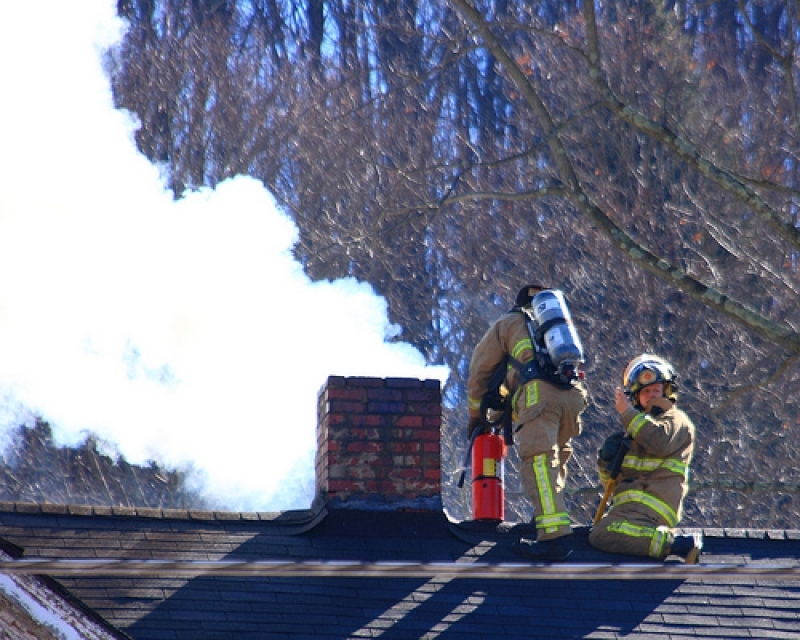 Chimney fires Creosote accumulation is the main reason for cleaning a chimney. If the buildup of creosote on the chimney's inside surface ignites, a chimney fire results. Chimneys need cleaning to prevent this buildup and thus reduce the possibility of a chimney fire. Cleaning the flue You can either clean the chimney yourself or hire a professional chimney sweep. Chimney sweeps who will do a thorough and professional job are available in many communities. Watching a sweep clean your chimney would not only be educational, but would also help you decide whether or not to tackle the job yourself next time. Clean up time Now that the chimney is clean, it's time to go back inside the house to clean up the soot and creosote that has fallen to the bottom of the chimney. If you are cleaning a fireplace, carefully remove the seal from the fireplace opening and sweep the soot and creosote into containers. Make sure you sweep out the accumulation on the smoke shelf above the damper, too. It is better to use an industrial or shop vacuum cleaner for this job. After this initial cleanup, use a wire brush to scrape off the deposits from the inside of the fireplace and from around the smoke shelf. Tidy up the area, and you're finished.